Liquid solvent net weight is 20lbs/9kg. This cylinder has a dip tube and is part of our FREE RETURN EZ EXCHANGE program! 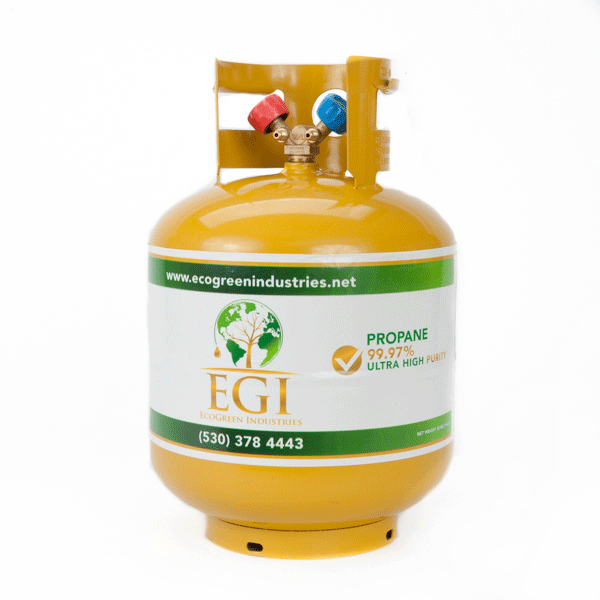 Although this cylinder is refillable, it is not designed to be used for recovering used solvent. Our cylinder tanks are DOT-APPROVED 4BA-400 cylinders. Each cylinder is equipped with an internal liquid siphon dip tube with 1 liquid port (red) and 1 vapor port (blue). The red port is attached to the internal liquid siphon dip tube. The size and type of the valve connections are 1/4″ male SAE flare fittings. Please refer to the instructions included in your delivery regarding our EZ Exchange Program, and be sure to keep your boxes and provided return labels for FREE return shipping! We will email you a $50 coupon code to use toward your next purchase when your empty tank is shipped back to us using the provided labels and boxes. We are not able to provide re-prints of the return label.